The Hampton Nautical Chrome/Black Griffith Astro Telescope 50" is an elegant solid chrome refractor telescope mounted on a durable tripod. 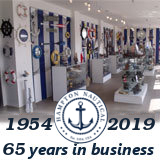 A fully functional masterpiece, this nautical classic makes the perfect gift for any occasion, as well as fabulous home and office décor. Both the telescope and viewfinder are solid chrome with black finish, providing up to 12x magnification, and focusing is accomplished by adjusting the eyepiece ring on the telescope tube. A removable chrome cap, connected by a chain, protects the objective lens when not in use. The tripod stand features smooth, polished round legs, each with solid chrome fittings and a screw release to let you adjust the height. 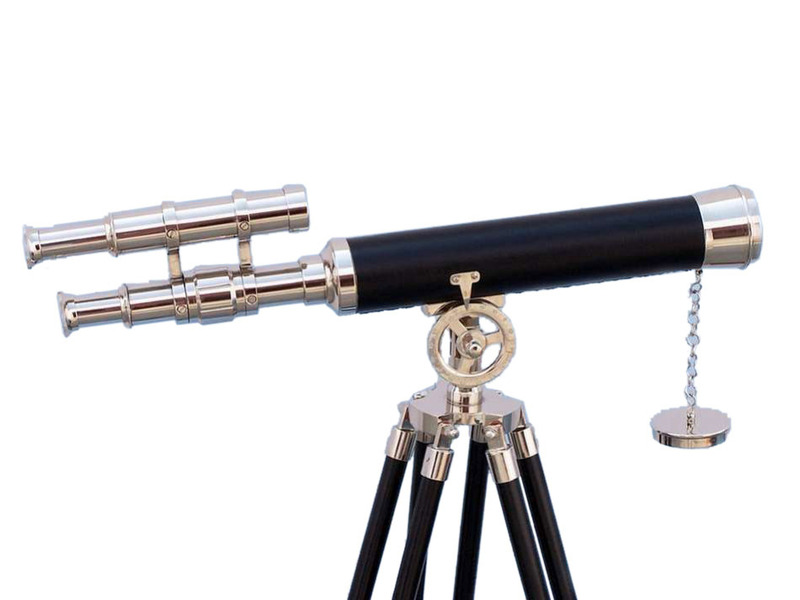 A solid chrome chain holds the three legs together so the telescope can maintain its position.